Palwankar Baloo was the greatest Indian cricketer of his time who deserves to be remembered and celebrated for shining through oppressive caste prejudices. In 1892, the Poona Club made a most curious hire. At a monthly salary of Rs 4, a 17-year-old boy was brought in to erect the nets, roll and mark the pitch meant exclusively for Europeans. The boy had had similar duties at a club run by Parsis, but now, he got an additional task: bowl to the British batsmen at the nets. The hundreds of hours bowling at the net helped him grow up into one of modern India’s greatest cricketers. 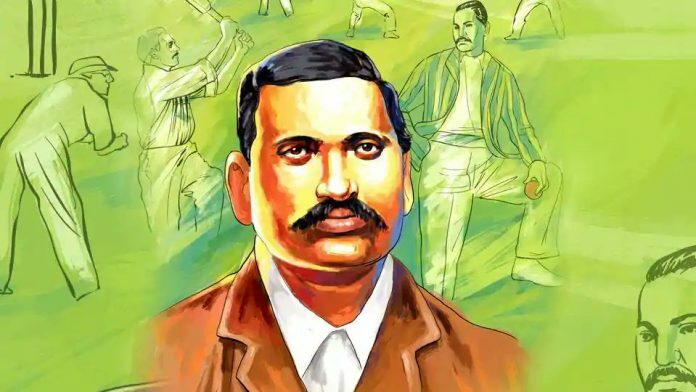 His name was Palwankar Baloo and he became the backbone of Indian cricket, leading the Hindu Gymkhana to many rousing victories against their erstwhile British rulers. He was also the only sliver of hope in an otherwise depressing tour of England in 1911 — the first by an all-Indian team — taking 114 wickets at an average of 18.84 with a best haul of 8/103 against Cambridge. “He was an extraordinary cricketer who battled incredible discrimination,” said historian Ramachandra Guha, whose 2002 book, A Corner of A Foreign Field, chronicles, among many other things, the life of the Palwankar brothers. But one of India’s first world-class players, and its first Dalit cricketer, has been neatly brushed out of the annals of history, save a handful of textual records and oral histories — an indictment of both India’s cricket writing and the erasure of Dalit heroes from mainstream history and consciousness. The eldest of four brothers, Baloo was born in 1875 in Dharwad to a family of leather workers but his father was in the army. Baloo and his brother Shivram learnt to play cricket with equipment discarded by officers in Pune. “The army held out the promise of a degree of equality for Dalits impossible elsewhere in a caste-ridden society,” explained Shraddha Kumbhojkar, a professor at Savitribai Phule Pune University. Indian cricket at the time was organised on caste and faith lines and the pinnacle of the season was a tournament in Bombay, where Hindu, Parsi, British, and, later, Muslim teams competed in three-day matches. Hindus in Pune had started a club but were in two minds over whether to invite Baloo. He was certainly the most talented bowler but breaking caste taboos was an anathema. But once picked, Baloo immediately made his presence felt and helped his team notch up several victories against the Europeans. “The Hindu team was otherwise weak. Baloo helped them match the British,” said Sadanand More, a Marathi historian. By 1896, Baloo’s fame had spread and he moved to Bombay to play for the newly-commissioned Parmanandas Jivandas Hindu Gymkhana, one of the teams in the famed Bombay quadrangular. “The most deadly bowler on a sticky wicket. May be called (Wilfred) Rhodes of India,” said Dr ME Pavri, one of Baloo’s opponents at the time. In 1906, the Bombay quadrangular was held just as the independence movement was gathering steam. Each victory of the Hindu team, helmed by Baloo, was cheered wildly. The final saw the Hindus squaring off against the British. The Hindus batted first and posted 242, and then bowled the British out for 191. In the second innings, the Indians made 160, setting the British a target of 212. But fifers from Baloo and another bowler, Erasha, saw the Europeans crumble to 102, handing the Indians a famous victory. By then, the growing cricket fervour had kindled the desire for an England tour. But the 1911 outing ended in disgrace. The visitors slumped to a defeat in 10 matches and won only two. The bright spot was Baloo, who enjoyed success against university and county sides alike: 5/87 against Oxford; 4/96 against the MCC; and 7/83 against Lancashire. Upon their return to India, Baloo was celebrated, none more wildly than the depressed classes, who felt pride at one of them having bested not just the Brahmins but also the British. At this function, the welcome address was given a young college lecturer by the name of BR Ambedkar, the first public appearance of a man who would go on to write the country’s Constitution. In 1896, a deadly plague broke out in Pune, wiping out almost half the population. But quarantine and treatment was hobbled by caste bias as high-caste neighbourhoods refused to mingle, even if death was the alternative. When the administration ordered the army to forcibly quarantine people, it sparked off angry protests because many armymen were Dalits. “This is how casteist Pune was then,” explained Kumbhojkar. In this city began Baloo’s career. During the tea interval in matches, he would be served outside the pavilion in a disposable clay ‘matka’. If he wished to wash his hands and face, a fellow Dalit attendant would bring him water in a corner. He would eat lunch off a separate plate, at a separate table. When the caste barriers were finally lifted in Bombay, Baloo became one of the first public Dalit figure to inter-dine with upper-castes, said Raosaheb Kasbe, a former professor of philosophy at Pune University. “This was remarkable because you don’t have Ganguly saying Dravid should be captain. Pai was discreetly saying Baloo was a better cricketer,” Guha said. The insult was compounded in 1920, when Baloo was dropped from the team and his brother Vithal – by then an ace batsman and a idol of later legend Vijay Merchant – was passed over for captaincy in favour of a young Brahmin, DB Deodhar. In anger, Baloo’s brothers Vithal and Shivram withdrew from the team. “Social or educational status has no place in sport…that such matters as caste should be the determining factor in cricket is more than we can quietly bow down to,” the brothers said in a letter. In the end, Baloo was made vice-captain. Three years and a string of similar boycotts later, Vithal captained the Hindu team and led them to a famous victory against the British. The shackles had finally crumbled. In many senses, Baloo was the first modern Dalit icon. “Dalits didn’t have a leader then, so he became a leader. He was known all over India,” said Kasbe. Indeed, in his speeches throughout the 1910s, Ambedkar drew connections to Baloo and spoke of how much he admired the cricketer. As late as 1927 and 1928, Ambedkar was telling village audiences of his attempts to promote the greatness of Baloo. Fate, however, would pit them against each other. In 1932, India’s politics was at an impasse over separate electorates for the depressed classes, a demand by Ambedkar that Gandhi strongly opposed. Baloo, a Chamar, was an early Gandhian who supported Gandhi’s fast and opposed Ambedkar, a Mahar. When Gandhi’s health deteriorated, Baloo and Tamil leader MC Rajah pressed on Ambedkar to accept a compromise, that of reserved electorates. Ambedkar relented, and Baloo, an unlikely leader, signed on the landmark 1932 Poona Pact. Five years later, Baloo and Ambedkar sqauared off once again, this time for the Bombay assembly. By then, the cricketer had already publicly opposed Ambedkar’s decision to convert out of Hinduism, calling it a suicidal move. Guha writes the decision to select Baloo was made by Vallabhbhai Patel for Baloo’s achievements and because his community made up a significant portion of the constituency. But the cricketer appeared deeply reluctant to fight Ambedkar, according to his nephew and son. According to the Bombay Chronicle, Baloo told a rally in January 1937 that he wasn’t interested in fighting elections and that he agreed without knowing which seat he would contest from. In the end, he lost narrowly, 11,225 votes to Ambedkar’s 13,245. Guha thinks the reasons lie with cricket historians’ obsession with Test matches, which India began playing in 1932. Kasbe argues the anti-caste movement was still nascent and Baloo as a Chamar leader was not acceptable to all Dalits. And, of course, the institutional neglect of Dalits meant there is little written record of Baloo’s achievements. His son Yeshwant Baloo Palwankar was a great left handed cricketer too. An allrounder, he captained Ruia College . He was a very strict captain and would not tolerate any missed fielding or dropped catch. He once sent off his wicket keeper in a friendly match. He was selected for the combined university team against West Indies. His selection in the Bombay team was cut short due to a difference of opinion with Vijay Metchant who was a selector. He gracefully retired and moved to Pune.